The Icelander Snorri Sturluson's Heimskringla from ca. 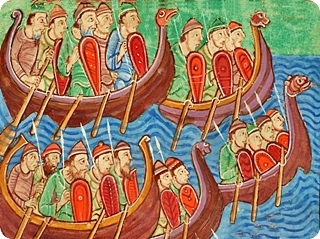 1230, is a collection of tales about Norwegian kings, beginning with the Ynglinga dynasty, followed by accounts of historical Norwegian rulers from Harald Fairhair of the 9th century, up to the death of the pretender Eystein Meyla in 1177. This complete English translation is by Samuel Laing.